"…the term 'flying saucer' was used to describe all disk-shaped objects that were seen flashing through the sky at fantastic speeds. Before long, reports were made of objects other than disks, and these were also called flying saucers. Today the words are popularly applied to anything seen in the sky that cannot be identified as a common, everyday object. 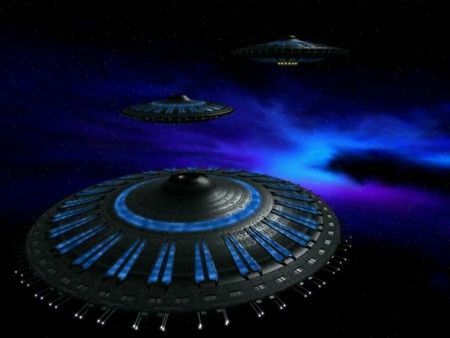 Thus a flying saucer can be a formation of lights, a single light, a sphere, or any other shape; and it can be any color. Performancewise, flying saucers can hover, go fast or slow, go high or low, turn 90-degree corners, or disappearalmost instantaneously. Obviously the term 'flying saucer' is misleading when applied to objects of every conceivable shape and performance. For this reason, the military prefers the more general, if less colourful, name: unidentified flying objects. UFO (pronounced Yoo-foe) for short." Bette Shilling, working on a college UFO project, first heard of my "Retrieval" paper when I was interviewed on a Los Angeles radio station in the Fall of 1978. 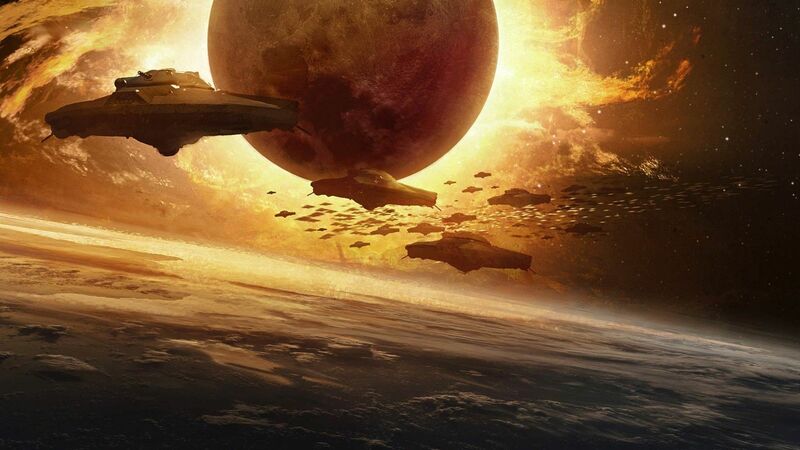 She wrote to me and I responded by phone when I learned that her friend, an Air Force officer, had told her that he knew of a crashed alien craft occurring in the Spring of 1975. At that time, she said, he was Communications Officer at a "station" in Detroit, and was responsible for transmission of a coded message to the Commanding Officer at another base in Ohio (Wright-Patterson?) about a crash in a rural area near the Ohio border in Michigan. Two dead bodies, and one still alive, were retrieved. Name withheld by request. 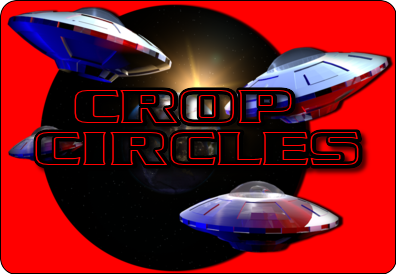 Following my second lecture, April 6, 1978, before the Cincinnati Chapter of the World Wings Association, a gathering of 50 or more pilots, I was approached by a member of the association who knew of a "person at work" who, in turn, knew about crashed UFOs and occupants. As reported in Abstract #19 of my previous paper, I promptly got in touch. On April 18, 1978, I talked with former Air Force Sergeant MS of the 97th Bomber Wing. 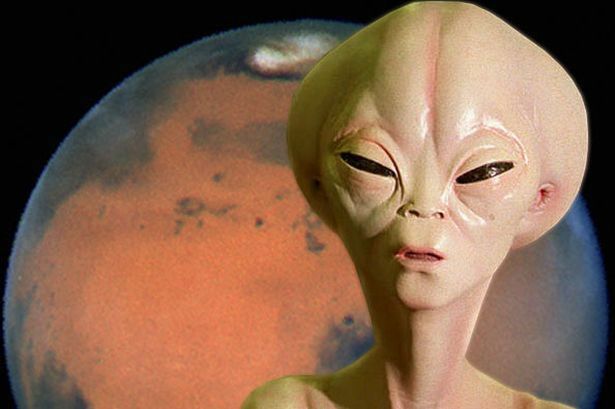 He was prepared to relate information from a high-ranking Intelligence source relative to the retrieval of alien craft and humanoid occupants allegedly maintained at Wright-Patterson AFB. He also related a sobering story about a landing on an Air Force base, also from the same source. MS, while serving at Wright-Patterson AFB in 1977, made close acquaintance with Major General "T," who was assigned at Wright-Patterson for top security work in the Logistics Command. His rank and the nature of his work entitled him to a plane at his disposal at all times. He and the General's daughter (name known to me) were seriously lovelorn, and on that basis were frequently together. This allowed MS to be a guest at the General's home where he and the general had private chats. From General "T," according to my informant, details were disclosed concerning a UFO that had crashed in the southwest region of the United States in 1957. At that time, General "T" was a Lt. Colonel. 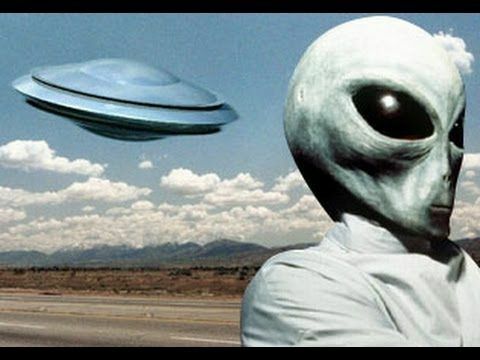 According to the General, radar had confirmed that an alien craft had crossed the skies over the United States at great speed. It was tracked to the point of its crash. The area, as in most cases, was "roped off," and a military unit summoned (with canines) for maximum security. 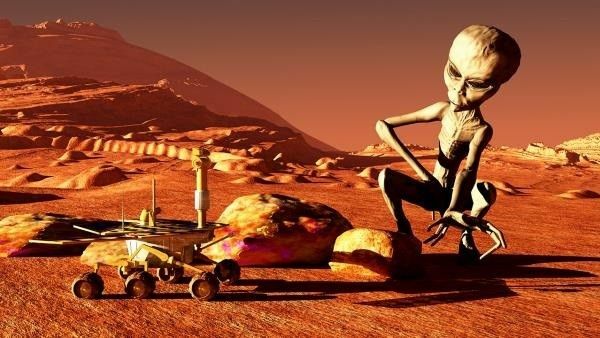 From the damaged craft, four humanoid bodies were recovered with great difficulty because of the inability to penetrate the craft's metal structure. The deceased bodies were found badly burned, some parts so severely that certain features were indistinguishable. However, the suits they wore - appearing silver - were not damaged by the obviously intense heat endured inside the craft. Said the General, "The suits were fused to the flesh." According to the General, the four bodies, approximately 5 feet in height, were sent to Wright-Patterson AFB where he had seen them in a deep-freeze morgue, kept at approximately 120 degrees below zero for preservation. The only other anatomical feature described by General "T" was that the heads of the aliens were large by human standards. Facial features were erased by the heat factor. The craft? The General related that scientists assigned to the task of dismantling it ran into difficulty. To get inside, they concentrated on an area where a fissure or crack had resulted, probably from impact. Shipment to Wright-Patterson, he said, quoting the General, "Was by rail, using two military conveyance rocket cars, properly camouflaged and classified as 'rockets'." On another occasion, MS as a guest of the General at his home, while alone, was shown a Top Secret document concerning a landed UFO. The incident occurred at Nellis AFB, Nevada, 1968, and MS expressed disbelief when he read the report. Stamped TOP SECRET, as he recalled, it read, in part: Large UFO hovered over Nellis AFB for three days. 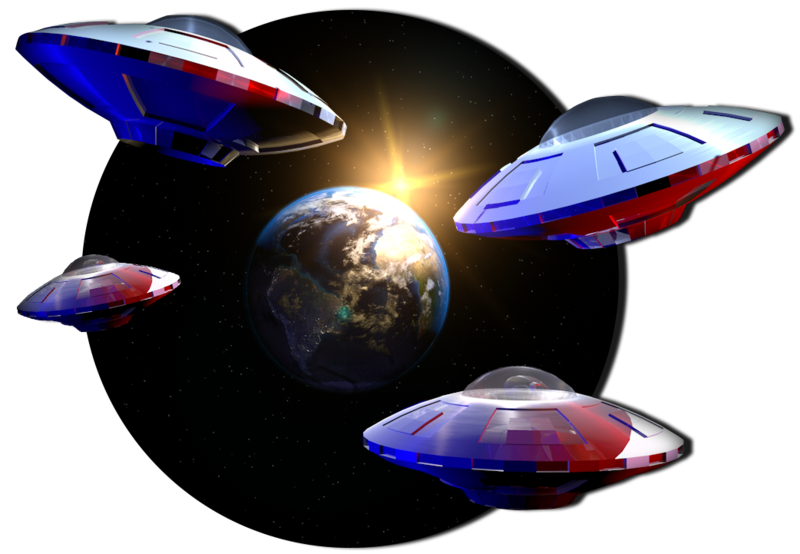 Three small alien craft were observed separating (or being ejected) from parent craft. One landed on the air base grounds. Sent to greet the landed craft was a Colonel with security detachment properly armed. There was no mention of an attempt to assault the craft. While waiting for a sign of intent, a humanoid was observed to disembark from the craft, which was described as "short and stocky." Then, a beam of ligt was directed at the Colonel. The Colonel was instantly paralyzed, according to the report. Orders then came from the officer next in command for his detachment to fire, but their weapons jammed. 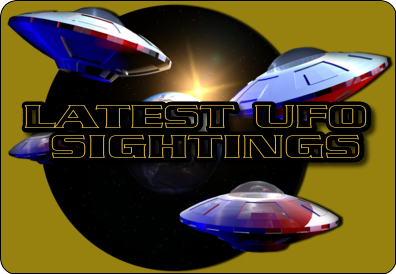 The UFO was observed to retreat to its parent craft and then departed. The Colonel was hospitalized. The only recall by the Colonel, as MS remembers from the report, was that he could rationalize the event only in terms of mathematics, as though an attempt at communication had been conducted in this manner. I made a check on General "T" at Wright-Patterson AFB. They had no entry of his name as having been stationed there. However, when MS (and a witness) called the Accounting and Finance Section at Lowry AFB, Denver, Colorado, to obtain the General's new address in the area he had planned to retire, he was refused on grounds of the Privacy Act. But, the General's name was on record. To authenticate the General's report on the Nellis AFB incident, I checked with an Intelligence source and obtained confirmation. During August of 1978, MS tried several times through other military friends to make personal contact with the General, but to no avail. On September 28, 1978, to check on a detail about MS's personal life, I called his employer and talked with the comptroller, the person who arranged our contact initially, and learned to my surprise that my informant had suddenly left his job three weeks before. The Comptroller said that MS had a service-related back disability and had gone to Wright-Patterson AFB for corrective surgery. MS has since become unreachable, having left no new home address or phone number. During the summer of 1977, I was asked by a local business executive, a former Naval Intelligence Officer, to speak on the UFO at the September 1st meeting of the Cincinnati Chapter of the World Wings held in the Administration Building of Cincinnati's Lunken Airport. During the Question and Answer period, following my talk, one member of a group of 25 pilots arose and brought up the legendary subject of recovered alien UFOs and occupants. His comment, I thought, indicated that he was unusually well-informed on the matter, so I asked that he stand by for a chat later. When the crowd finally disassembled, he led me to the privacy of a back room which was dominated by a huge topographical map of the United States. Staring at the map, he said bluntly, "I have seen the bodies." Still looking at the map and noting my protracted silence, he pointed vaguely to an area inside the State of Arizona. "There's approximately where the saucer crashed," he said. "It was in a desert area, but I don't know the exact location. I'm almost positive it happened in 1953." The pilot was my first encounter with a firsthand witness. As he stood at the map with a straight-on glance, he impressed me as a person who is sincere and forthright, possessing a no-nonsense character. "I saw the bodies at Wright-Patterson," he said. "I was in the right place at the right time when the crates arrived at night by DC-7." As we lingered at the map, he recalled that he had stood inside a hangar at a distance of about 12 feet, peering at five crates on a forklift. In his judgement, the crates appeared to be hastily constructed and were made of wood. In three of these, little humanoids appearing to be 4 feet tall, were lying unshrouded on a fabric, which he explained prevented freeze burn from the dry ice packed beneath. As a number of Air Police stood silent guard nearby the crates, he managed to get a reasonably good but brief glimpse of the humanoid features. He recalls that their heads were hairless and narrow, and by human standards were disproportionately large, with skin that looked brown under the hangar lights above. The eyes seemed to be open, the mouth small, and nose, if any, was indistinct. The arms were positioned down alongside their bodies, but the hands and feet, he said, were indistinct. When asked about their attire, he said they appeared to be wearing tight-fitting dark suits, and, because of the tight-fitting suit, there was one revealing feature - a surprising feature. One of the humanoids appeared to him to be female. 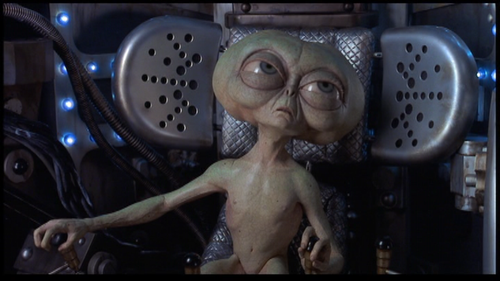 He said, "Either one of the aliens had an exceedingly muscular chest or the bumps were a female's breasts." Later, he learned from one of the crew members, with whom he bunked at the barracks, that the body of one of the aliens was believed to be that of a female. My informant also heard from the crew member that one of the entities was still alive aboard the craft when the U.S. military team arrived. Attempts were made to save its life with oxygen, but they were unsuccessful. Another issue, an important one: How was the military able to track the crash? Said my informant: The crew member told him that the UFO was picked up by special tracking equipment at Mt. Palomar in California. My informant claimed that he had later heard a report that the retrieved craft, found intact, was also sent to Wright-Patterson. He had no more details as to when or by what means. I have had a dozen or more private talks with my firsthand informant since our initial meeting as reported in Abstract #8 of my first paper. During this period, I knew him as a dedicated family man and by occupation, an engineer. He had also made several trips to Wright-Patterson for treatment of a medical disability. Without notice, in the Fall of 1978, he and his family moved away leaving no forwarding address. His military career was extensive, having served as Warrant Officer in the Army, during which time he was assigned Wright-Patterson in the early 1950's. In recent years, he was in the Reserves as a Flight Commander in the Air National Guard. My informant seemed well-informed about the UFO but had never desired to participate in open research to share his knowledge. In my opinion, he seemed to be keenly aware and able to separate fact from rumor. 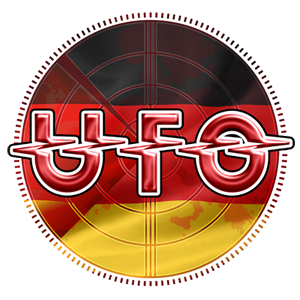 Of the latter, he heard that a UFO (foo fighter) had been retrieved in England by the 8th Air Force, during World War II. Having a top security clearance, he claimed to have seen photos at Wright-Patterson of a retrieved UFO and a close-up showing strange glyphs on its body which he described as looking like Sanskrit. He was also aware of the consequences of talking too much about secret subjects, and often referred to reprisals such as confinement at a base in the U.S. which he dubbed the "Turkey Farm." In August 1978, I requested an affidavit, or tape, describing his 1953 experience for my private records. He declined because of his oath of secrecy. I then asked for a posthumous statement. His response was that he would have to check with his Security Officer. Belatedly, he got the expected answer: "You have seen nothing, heard nothing, and you sure as s... can sign nothing." That was the final word. According to my informant, plus the testimony of two secondhand witnesses described in Abstract #6 and #7 of my first paper, 1953 was either an active year for several UFO crashes, or, all three were describing one event. All three describe the area of impact in a desert region and two named Arizona as the site. In light of new information surfacing about an alleged crash and retrieval of an alien craft near Roswell, New Mexico, in 1947, the following case, published in Abstract #18 of my previous paper, is certainly not in itself unusual, but it merits review as it may provide useful testimony for researchers. On April 7, 1978, Steve tom, NBC radio newsman, Chicago, and I were linked up by phone for an interview with a former Air Force Intelligence Officer, Major Jesse Marcel, residing in Houma, Louisiana. Major Marcel, I learned, shared some common ground with me. He had also served in the 5th Air Force in the Pacific Theater during World War II, and had been in several combat areas such as Leyte, Philippine Islands, where I had been assigned. 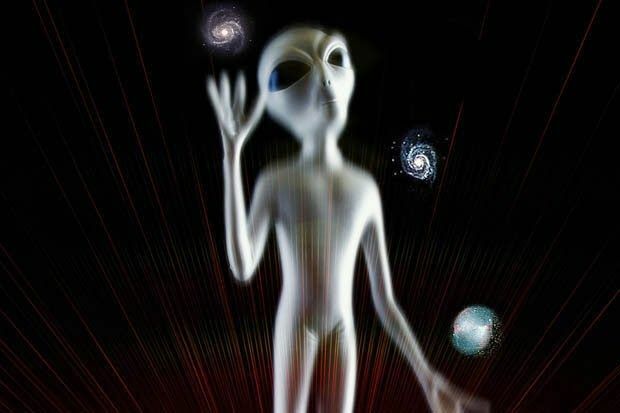 The purpose of our call was to obtain, firsthand, the Major's confirmation of his role in the retrieval of an alleged crashed UFO northwest of Roswell, New Mexico, in the summer of 1947. The debris of an apparent metallic aerial device, or craft, that had exploded in the air, or crashed, was first made known by a sheep rancher who found fragments of metal and other material on his 8,000-acre property. 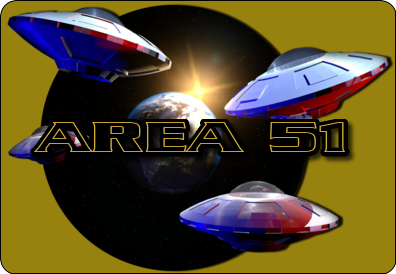 When he informed the Air Force base in Roswell of his discovery, Major Marcel and aides were dispatched to the area for investigation. There, he found many metal fragments and what appeared to be "parchment" strewn in a 1-mile-square area. "The metal fragments," said the Major, "varied in size up to 6 inches in length, but were of the thickness of tinfoil. The fragments were unusual," he continued, "because they were of great strength. They could not be bent or broken, no matter what pressure we applied by hand." The area was thoroughly checked, he said, but no fresh impact depressions were found in the sand. The area was not radioactive. The fragments, he added, were transported by a military carry-all to the Air Base in Roswell and from that point, he was instructed by General Roger A. Ramey, Chief of the Air Defense Command, to deliver the "hardware" to Ft. Worth, to be forwarded to Wright-Patterson Field for analysis. When the press learned of this retrieval operation, and wanted a story, Major Marcel stated, "To get them off my back, I told them we were recovering a downed weather balloon." "The material I gathered did not resemble anything off a balloon. A balloon, of any kind, could not have exploded and spread its debris over such a broad area....I was told later that a military team from my base was sent to rake the entire area." 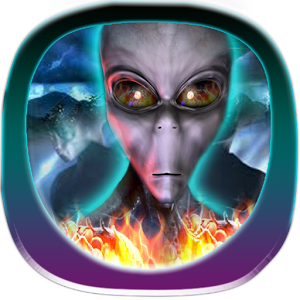 If there were entities aboard, they could have been destroyed in what appeared to be a violent aerial explosion. Since the successful release of their book, The Philadelphia Experiment, in 1979, which uncovers new data about another legendary mystery concerning a warship being invisibly teleported during a Navy experiment in 1943, the authors, Charles Berlitz and William Moore, are ready for another expose far removed from sea lore. 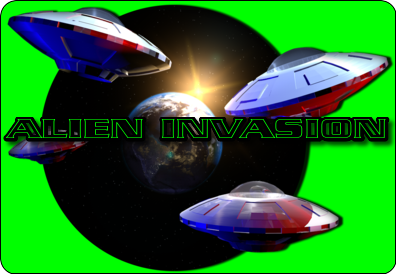 The theme concerns an alleged crash of a UFO in 1947 near Roswell, New Mexico. Thus, there may be a tie-in with the account offered by Major Jesse Marcel. Bill Moore, persuasive and methodical in his probing skills, told me during a private meeting in Cincinnati in July 1979, that he had uncovered some good firsthand data about the 1947 crash. In trust, he related some of his material and if his informants are as reliable as he alleges, then the Air Force long ago had evidence to back up and make policy about the incursive UFO. On June 25, 1978, James Minton, his wife and I, breakfasted together in a motel in Carlyle, Illinois, on the day Betty Hill, Charles Hickson,and I each addressed the UFO Study Group of Greater St. Louis, hosted by Mrs. Rosetta Holmes, at the Fish Hatchery grounds. Jim and I, over several coffees, discussed our respective interests in the UFO and have since that day "kept in touch" as I continued to develop new material about the UFO crash/retrieval syndrome. In September of 1979, Jim called to relate that he had talked with a former Air Force friend, William Draeger of Austin, Texas, who had uncovered some information about a 1950 crash incident occurring in Mexico. I knew the incident well, and that it had been disputed by some researchers. However, I had not pursued the case beyond having referred to the alleged crash in my previous paper. At that time, I had used information related by Todd Zechel to the Midnight Globe. Since, further research into the case by Zechel and others has revealed that not only the year of the incident was wrong, having changed from 1948 to 1950, but also the crash site has changed. "Todd Zechel called me in Austin, Texas, on Sunday, August 13, 1979. He was acting as consultant to a Japanese television crew from Nippon Television Network taping a UFO documentary. 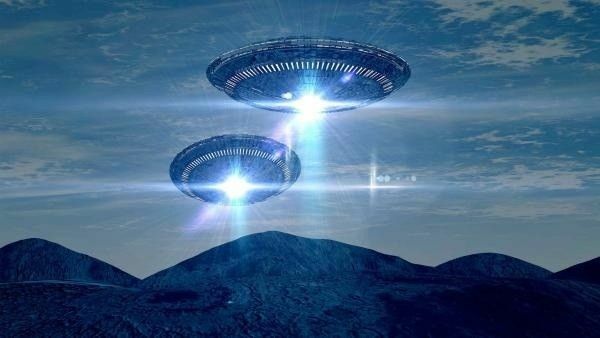 They were in Del Rio, Texas, researching the alleged UFO crash which occurred in 1950 (and has at times been erroneously reported as having occurred near Laredo, Texas). On Monday August 14, I was employed as interpreter for the Japanese crew due to the fact that I was raised in Del Rio and speak Spanish fluently. The retired Colonel who witnessed the UFO in the air and later on the ground was also in Del Rio with Todd and reported that the soldiers surrounding the crashed craft were Mexican troops. I contacted the Mexican Army General who had command of that specific area of the border and initially talked with him by telephone. I identified myself and my position and related that in 1950, a UFO was reported to have crashed 30 miles northwest of Del Rio, that we had along a pilot who had seen it in the air and later on the ground being guarded by Mexican troops until American Air Force units arrived to retrieve the craft and a body that was found aboard. Without pause, the General answered in Spanish, "Yes, I know about that. I don't have any papers or documents to prove it, but due to my position, I know about that." When I asked if he would consent to an interview, he paused and said he would be busy for 30 minutes but afterwards would be free for an interview at his home. When the 7-man crew, the retired colonel, and myself arrived and we talked with him, he totally denied any knowledge of the incident and on camera, he denied and evaded any questions dealing with the incident and UFOs. The General is a military celebrity and began his career as a young Lieutenant serving under Pancho Villa during the Mexican Revolution. He was acquainted with several movie stars, like John Wayne, and became friends with General George Patton when he was stationed at Fort Clark, 35 miles from the border. They played polo together. I believe the General is beyond reproach and that he "slipped" on the telephone but maintained strict security for the interview. I, William H. Draeger, do hereby swear to God that the above statement is the truth, the whole truth, and nothing but the truth." This case, with new supporting information, refers to independent sources who have witnessed the same secret movie at different bases, showing an alleged crashed disc in a desert region and their deceased alien bodies lying on tables, probably in a makeshift state at the same crash site. First, for the record, is edited copy from Abstract #5 which appeared in my previous paper. Mr. TE, who holds a technical position in today's civilian life, was, at the age of 20, an Air Force radar specialist with Secret security clearance stationed in Ft. Monmouth, New Jersey. In the Spring of 1953, he and a small, select number of radar specialists were summoned to view a film at the base theatre. Without any briefing, the 16 mm movie projector was flicked on and the film began to roll on the screen. Without any titles or credits, that he could recall, the film showed a desert scene dominated by a silver disc-shaped object imbedded in the sand with a domed section at the top. At the bottom was a hatch or door that was open. In the next scene, TE recalls seeing 10 to 15 military personnel dressed in fatigues and without identification patches, standing around what appeared to be a disabled craft. 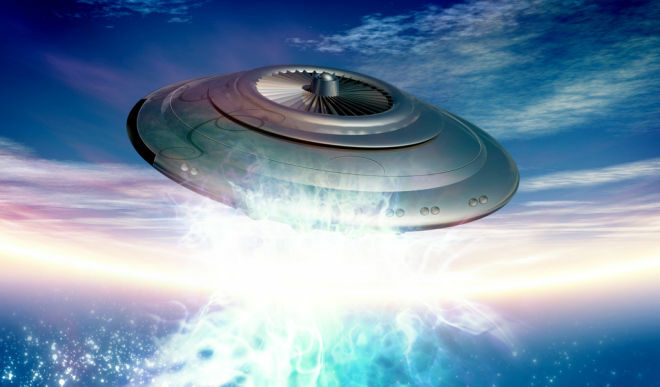 By judging their height against the UFO, TE determined that its width was approximately 15 to 20 feet in diameter and that an open hatch or door at the bottom was about 2½ feet wide and perhaps 3 feet high. At this point, TE had no idea of the movie's purpose. I asked about the activity of the personnel. "They were just looking at the object," he said. Then the movie switched to what appeared to be the interior of the craft. A panel with a few simple levers was shown, and he remembers being impressed by the muted pastel colors and sudden glares of white - the sign of poor photography. Again there was a change of scenes. Now in view were two tables, probably taken inside a tent, on which, to his surprise, were dead bodies. Two were on one table; one on the other. TE said the bodies appeared little by human standards and most notable were the heads, all looking alike, and all being large compared to their body sizes. They looked Mongoloid, he thought, with small noses, mouths, and eyes that were shut. He didn't recall seeing ears or hair. The skin, he said, was ashen in color. Each wore a tight-fitting suit in a pastel color...yellow was mentioned. The scene of the dead bodies was the end of the movie. When the lights came on in the theater, the officer in charge stood up and instructed the viewers to "think about the movie," and added firmly, "Don't relate its contents to anyone." TE said, in good faith, he didn't even tell his wife. To TE's surprise, two weeks later he was approached by an Intelligence Officer on the base and was told, "Forget the movie you saw; it was a hoax." 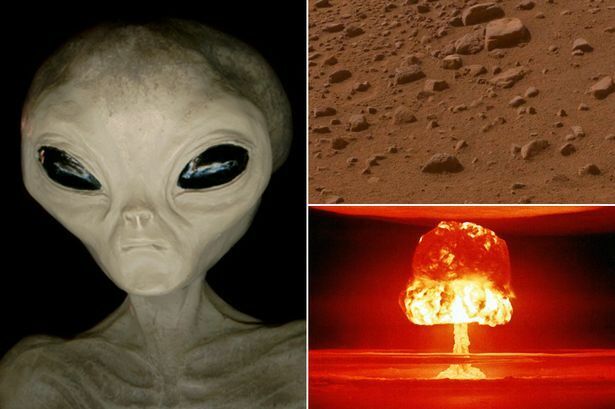 Shortly after seeing the movie, he heard from a couple of top security officers on the base that a UFO had crashed in New Mexico and had been recovered with its occupants. The date of the crash was 1952. Commented my informant, "The 5-minute long movie certainly was not a Walt Disney production. It was probably shot by an inexperienced cameraman because it was full of scratches, and had poor coloring and texture." TE, when asked about his interest in UFOs, claimed that he was not - then or now - but he has always been curious about the purpose of the film in relation to his work in radar. Years later, he met an old army acquaintance who was also a radar specialist. To TE's surprise, he learned from this man that he, too, had seen the same film at another base under similar hush-hush conditions. My informant believes that the corpses and crashed craft shown in the movie film were bona fide, and we agreed that it would have been ridiculous for a professional studio to have made dummy bodies to look so real in an otherwise ill-prepared and shoddy film. "Dear Len...At last I am able to put this information in a letter to you. You have my permission to use it in publication of your work. Last summer while I was relating some of the reported highlights of the MUFON symposium, I mentioned the movie of the crashed disc and alien beings. An acquaintance of mine offered a few additional details, but it took several more weeks to get more information from him. This man is a retired Air Force Colonel, who enlisted in the early 1940's and retired about 1970. He entered the cadet program and the major portion of his military career was as a pilot, though he held several other jobs during the many years. He does not want his name released. Therefore, I must leave out some identifying details, but they are in my files: When stationed at a Maine AF radar facility (which is now strictly a Navy Air Station), this man was required to attend weekly "Commander's Call." One week (probably) in 1956, the men were shown a movie "filmed by the USAF" - no further credits. The movie showed a circular, metal, silvery disc on the ground. The inside was well lighted, of a light color and with smooth walls. The scene shifted to show at least three bodies lying on tables. The beings were short, all looked alike and did not have any ears (external) or hair. All appeared to be dead. When I asked the color of their skin, the reply was, "ashen or gray." I asked the number of digits on their hands and he held up four fingers with his thumb tucked out of sight. I asked if they did not have a thumb and his reply was affirmative. Next I questioned him about the clothing and he said it was "pale green and yellow." I asked several other general questions, but he refused to answer, or said he did not recall. I asked if the men were told anything about the movie before, during or after the showing. He said they were not. I asked the reaction of the men who had viewed the movie with him. He said, "We probably laughed about it and left." He does not recall ever discussing it with any of the others. All material presented at these meetings was considered military business and not to be discussed. Some weeks later, I again asked him why they had shown that particular group the movie and his response was that a UFO we were tracking had crashed, and that was all I could get out of him. This event was 23 or more years ago, but this man has good recall of other events and incidents from that time. He has held responsible positions in local business, and is generally of good character. He is retired as disabled. Though he does not believe the government would arrest or fine him, he will not reveal anything more, though I do know from past conversations that he has a great deal of information about AF investigations of UFOs. I have supplied you with the name and possible present location of the man who was commander of this base...Joan Jeffers (signed)"
With only the slightest variances, both the Colonel's and TE's reports, describing the film, agree. Showing of the film may have been to limited personnel on a "need to know" basis, but it seems that it appeared at a number of military bases. Note, too, that the Air Force Major (Case A-4) recalls having witnessed part of the film at an undisclosed base. Other former military personnel who may have seen the film have been named by Mrs. Jeffers, from her source for followup. One, a Lt. Colonel, was reached by researcher Stan Friedman, but he did not recall having seen the movie. However, he said, "If your source would get in touch with me, he might refresh my memory." I called the other officer in May of 1979, who, following his military career, still works at Wright-Patterson AFB. Evasively, he responded, "If I saw it, I can't remember it." I cannot believe that the movie used make-believe cadavers and was a trick on a select group of personnel holding the highest degree of security clearance. Once again, the faces of the three humanoids in the movie were described as identical, a characteristic noted by the Air Police Sergeant in Case A-2, and the former C.I.A. official in Case A-6. Of note, the C.I.A.-sponsored Robertson Panel met in January 1953, dictating that all military UFO reports be suppressed. UFO retrieval operations, and of course movies of such, got rigorous treatment, which it is reasonable to assume, still seal the lips of informants to this day. The year was 1973 when Carl, a Sergeant in the Air Force, an Air Policeman, was called to duty during the night. He was driven to a certain location, then was blindfolded. She said, he recalled that he was led across a field of wet grass, then was helped down a flight of stairs and escorted through a long corridor. At a certain point, he was halted and his blindfold removed. There, he was issued instructions about his mission and where to stand guard. To his shock, he was in a room with ranking officers and plainclothes specialists who were viewing three small humanoid bodies. The aliens were dead and were stretched out on a table. She remembers Carl telling her that the three bodies were about 3 feet tall, their heads abnormally large, and they seemed to have short fuzz on the top of their heads. The skin, she said, was an off-white or cream. She could recall no other facial features described by Carl, admitting that the only time Carl had talked about his experience was while they were courting. That was in 1975. At that time, she said, he seemed shaken by it. "I believe he was dramatically affected," she said, adding, "One time, he told his sister about it and she just laughed. Since then, he refuses to discuss the matter with anyone, even me." On several later occasions when I called Mrs. SI, I asked to speak to Carl. One night he was present, sitting at a table drinking coffee, when I called. I remember she asked him if he would be willing to talk with me about his experience, but he declined. Said SI when she returned to the phone, "He said he's not allowed to talk about it, and that he will tell everything he knows after President Carter makes an announcement." Because of her illness, and SI's wish not to be involved in UFOs again, a long gap of time elapsed before I chanced a call to check on her well-being. Her health restored and sounding cheerful, I then brought her up to date on my successes and failures in the pursuit of retrieval stories. But when I asked to speak to Carl, she reiterated his reluctance to talk about his 1973 experience. "He won't talk," she said, "He was too emotionally affected." Already knowing of Carl's place of employment, and that his on-duty schedule was subject to change, I asked her for the time of day he could be conveniently reached. I hinted that I might call him "on a long shot." She obliged, but offered no encouragement. On October 17, 1978, a well-timed call reached Carl at work during a coffee break. Without hesitation, I announced my purpose, cited some strong data from other sources relative to his experience and assured him that his name or identity would never be disclosed. After a long silence, Carl, with seeming reluctance, confirmed his experience and described the scene he witnessed while on guard duty. While his information generally agreed with that expressed by his wife, he also revealed that the facial characteristics of all three entities were similar and that the skin was the same color as a "drowned cadaver just brought out of the water." When asked about his reaction to the event, he said in a low voice, "I was shocked. I'd rather forget it." He offered nothing more, not did I want to press the issue. I felt that I had achieved a real breakthrough. Carl was now a firsthand witness. My informant, Carl, had no information concerning the actual retrieval operation, but undoubtedly, the recovered bodies came from a recent crash incident. I have no reason to question Carl's veracity; his behavioral reaction to my questions and voice intonation told the truth. Carl does not want any part of active UFO research, and prefers to be left alone and not bothered by the subject. When I later checked for confirmation with an Intelligence source about the 1973 retrieval, I got, "No Comment." The files on this page come from the FBI's list of UFO files as released through the Freedom of Information Act. The files are quite lengthy, and are in the .PDF format, which means they can only be viewed with an ACROBAT READER.This utility is available as a FREE download. If you are the type of person that likes to read PDF documents in word, there are programs out there that will convert PDF to word very easily. There are 11 groups of UFO files, containing a total of approximately 1,600 files.The twelfth is a short memo on the Roswell crash. The files on the Majestic-12 relate to an FBI inquiry into the possible unauthorized disclosure of classified information when a document marked "Top Secret" was made public. This investigation was closed after the government deemed that the document was bogus. There is one small file relating to the Air Force's Project Bluebook for the investigation of Unidentified Flying Objects. The Secretary of the Air Force discontinued this program in 1969. The records on animal mutilations relate to an investigation in various states during the late 1970's. Over the years, several theories have been expounded to explain the mutilations, including UFOs, satanic cults, pranksters, unknown government agencies, or natural predators. The FBI entered the case when 15 mutilations occurred in New Mexican Indian country. The investigation was negative with respect to identifying the individuals responsible. Note: Many of the file groups are over 5 MEGABYTES, and are extremely slow to load for viewing. We recommend downloading the file to your hard drive for reading. This page contains UFO-related .PDF files. 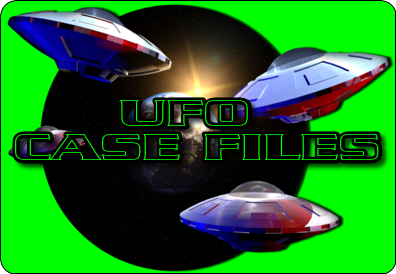 Some of these files are listed elsewhere on the UFO Casebook, but are listed separately here for downloading purposes. PDF files can only be viewed with an Acrobat Reader. Click here to download a FREE Acrobat Reader. Heute waren schon 33870 visitors (72220 hits) hier!